Wrong! We didn’t budget at all for Christmas this year! So, I have this summer fund whose intentions are to be used for stuff like this, but we blew it all during summer paying for school charges and enjoying summer. I think I was secretly hoping the holiday shopping season wouldn’t come. LOL. Now we are buying gifts out of our *Cash Allowance. Let me tell you, this does not leave much cash to be dispersed for holiday shopping! After groceries and gas for the week…it’s tight. But, we are managing by buying a few gifts each week. I’ve spent about $100 on each kid and am hoping the family will spoil them further. And if we run out of money (which we’ve been doing by ending up with a few dollars left in our account each week), then we have to wait til next payday. No whipping out the cards until ‘next week’. Doesn’t work that way! Wrong! I have this great post about Frugal Gifts for Christmas where my intentions were to start some cool crafts for family and friends. Ya… no, I started maybe one or two, but they are undone crafts sitting in a box. Definitely. Coworkers – I could have baked a bunch of goods, but my friend proved it’s difficulty to bake during a busy holiday work week – instead I spent $3 each on a box of chocolates or Danish butter cookies. Simple, no stress. Costs approx $30 for 10 coworkers. Kids & Husband – limited to $100 each. Two larger expenditures are going to be made for charitable reasons – gifts that are definitely needed. I am looking at spending $120 all together. Each year, a foster mom puts a big box at our local restaurant for toy donations for the foster kids in the area. This is near and dear to my heart being raised in foster homes. Foster kids need to know they are loved while going thru a difficult situation. I want to help with that reason. Then at the restaurant, we like to buy breakfast for a senior or two as we are walking out the door. We secretly tell the waitress its on us. I’ve never seen the recipient’s reaction, but I hope its a generous smile. And there is my daughter’s school. We are buying a class gift of paper, pencils, crayons, and hand sanitizer. Budget cuts have definitely put a strain on the school system – I am just hoping to make things a bit easier. Yup! we strolled the Festival of Lights in my area and tonight we are strolling a neighborhood full of holiday lights. I’ve been invited to make tamales and drink wine with the girls – this is great because the costs are split between us and we have a great time. We also spend time watching holiday movies on the Lifetime and Hallmark channel, while drinking hot cocoa. Then there is spending time with friend’s at holiday parties, spending time with the kids when they help me make dinner, the cookie making get together and going to church for Midnight Mass (haven’t done this in years!). I won’t lie, it’s not easy having a frugal Christmas. I want to shop without boundries as much as the next person. But we’ve become pretty serious about paying off our debt this year and I don’t want to mess that up. We might be doing this frugal Christmas thing backwards, but the key point is that we are surviving the holidays without credit cards or store cards (ya Wells Fargo! Just because you raised our credit limit yesterday to $15,700 and recently raised our APR to 22% doesn’t mean I’m gonna get suckered by you!). I am not getting suckered in to paying an additional debt sentence of 6 years. I know the kids may feel the downer of not opening tons of gifts, but they will understand the importance when we are debt free. And I know many people are hurting this year due to budget cuts, job losses, etc… I am glad to know that we have the resources to help out a bit (I wish we could do so much more). 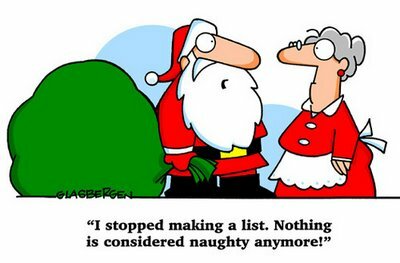 How is your holiday season coming along? Are you on budget? Not accruing any new debt? Would love to hear! *Cash Allowance: funds left over for the use of groceries, gas, entertainment, oil changes, hair cuts… that weekly spending stuff. This entry was posted in Finances and tagged frugal christmas gifts, frugal no credit cards on 2009-12-11 by Christine.